Add more PopPops Pets to your Collection with this Pop Pops Pets 12 Pack Series 1 Deluxe Pack. Pop Pops is a combination of several of the best things in the world, fluffy slime, bubble popping and the hunt for secret cute collectable Pets. 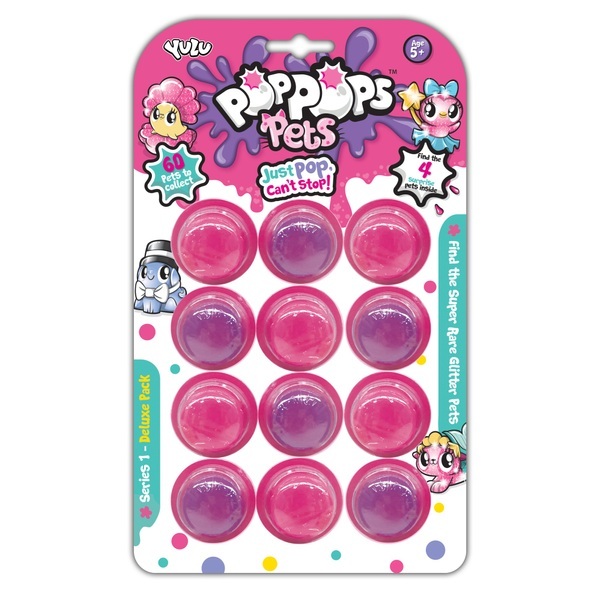 Pop the Pop Pops fluffy slime filled bubbles and see if you can find one of the 60 collectable cute Pets characters.